Located in the Cove Hollow Farm subdivision of East Hampton Village, this prestigious estate area was once a working dairy farm at the turn of the century. 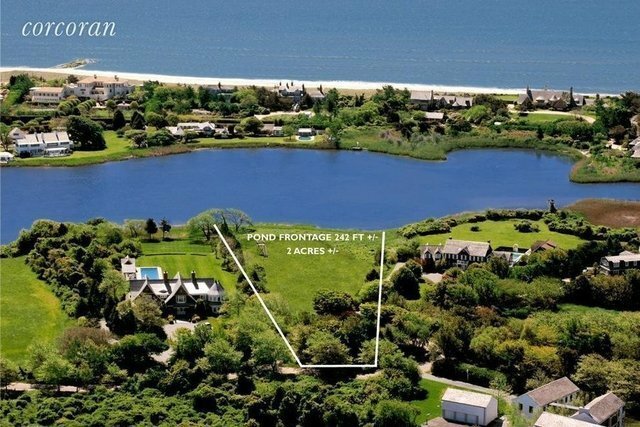 On a quiet cul-de-sac, this +/- two-acre lot has approximately 242 feet directly on Georgica Pond with wide water views to the ocean. Plans and permits are in place for an 8,000-plus square foot shingle traditional with a graceful swooping roofline and waterside heated pool.